“We are always looking for ways to continuously improve systems and procedures using technology. As a consequence we have some of the best in the world. We keep changing with the technology and ensure that our systems are always up to date with the latest requirements”. Dr. Christopher Tufton Minister of Health welcomed the move saying that the technology will propel us further and we should embrace it. PAS-MD is already in use by several medical practices and compliments the existing first world systems that the company presently provides. PAS-HIMS is now being implemented at the University Hospital of the West Indies which will soon be fully digitized. Along with its partners Suvarna out of India, AIS is also presently providing and implementing PAS-PIMS for Pharmacy Management and PAS-HIMS for hospitals. This system will also allow for e-Prescriptions, which is a major step for Jamaica. AIS aims to revolutionize access to health care resulting in cost reduction and more efficiency management. 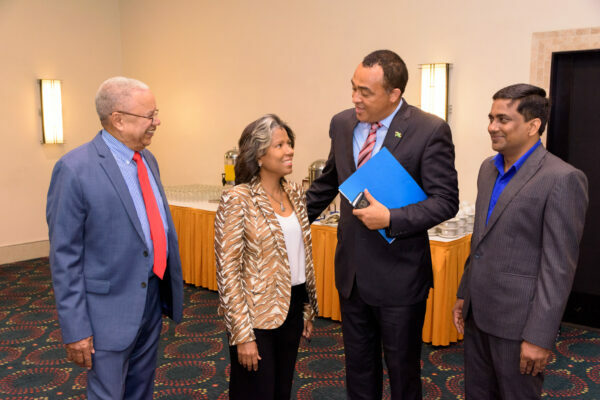 The PAS-MD marks the beginning of telemedicine in Jamaica, possibly powered by Quisk. The Caribbean’s leading healthcare technology provider, for the past twenty years, AIS has provided solutions to consistently improve business processes and user/patient interaction. One such product is Dyno Sense, a telehealth and remote care management system as described in AIS and Dyno Sense heralds Telemedicine Future of Health Care in Jamaica. Chairman and CEO of Advanced Integrated Systems Doug Halsall says PAS-MD will allow for doctors and patients to communicate through telemedicine, quote: “The first world is investing more in Telemedicine, which will allow for remote healthcare, and that is where we need to be. The technology can easily be integrated with UHWI’s Health Information Management System. This will allow doctors to do consultations and monitor health conditions remotely, rather than in person or in office. This will change healthcare especially for bed ridden individuals or those who have difficulty with mobility”. Through the development of several health sector management systems including the Provider Access System (PAS), an online real time adjudication platform being utilized by major insurance companies, over 5000 healthcare providers and government and private pharmacies, Jamaica’s health sector management has been tremendously improved. The country boasts one of the more advanced technology in healthcare especially with the Caribbean Drug Codes database, which facilitates coding and tracking of over the counter and prescription drugs and their formulae. He says there are existing components of Telemedicine so the transition should not be difficult. “Our approach to Telemedicine, will allow for real time health information that can facilitate proactive care and immediate diagnosis, that can significantly impact patient management leading to more positive health outcomes while reducing costs”. Telemedicine is slowly improving the delivery of healthcare in Jamaica!